In recognition of her outstanding contributions to civil rights, Melanie L. Campbell, president and CEO of the National Coalition on Black Civic Participation and convener of Black Women’s Roundtable, received the National Urban League’s “Women of Power Award” last week at a star-studded luncheon held during the NUL’s Centennial Conference in D.C. Citing her impact on voter engagement and reform, her leadership after hurricane Katrina, and her ability to bring together powerful women to address issues related to women and minorities, National Urban League president and CEO, Marc Morial, called the proud member of Delta Sigma Theta Sorority Incorporated, one of the hardest working women in the civil rights community. “Under Melanie’s leadership the groundwork was laid for the record-breaking voter participation we experienced in 2008. As a matter of fact, black youth voted in record numbers in 2004. Melanie has also quietly helped pave the way for more African American’s to assume leadership positions across the country,” Womack added. Campbell is the former director of the Mayor’s Offices of Youth Services for the late Maynard Jackson in Atlanta; holds a B.A. from Clark Atlanta University; was a resident fellow at the John F. Kennedy School of Government’s Institute of Politics at Harvard University; and is certified in executive non-profit management by the Georgetown University Public Policy Institute Executive Program. * Sports: Laila Ali, Professional Boxer. * Entertainment: Angela Bassett, Actress. * Technology: Angela Benton, Founder & Publisher, BlackWeb 2.0. * Civil Rights: Roslyn Brock, Chairman of the National Board of Directors, NAACP. 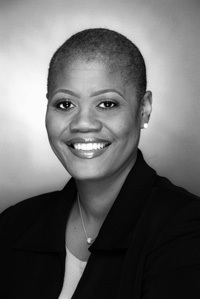 * Civil Rights: Dr. Beverly K. Mitchell-Brooks, President & CEO, Urban League of Greater Dallas and North Central Texas. * Corporate: Gale V. King, Executive Vice President & Chief Human Resources Officer, Nationwide Insurance. * Global Affairs: Ambassador Susan E. Rice, U.S. Permanent Representative to the United Nations. The National Coalition on Black Civic Participation (The National Coalition) is a 501(c)3, non-profit, non-partisan organization dedicated to increasing civic engagement and voter participation in Black and underserved communities. The National Coalition strives to create an enlightened community by engaging people in all aspects of public life through service/volunteerism, advocacy, leadership development and voting. For nearly 35 years, The National Coalition has served as an effective convener and facilitator at the local, state and national levels of efforts to address the disenfranchisement of underserved and other marginalized communities through civic engagement. More information: www.ncbcp.org/ .